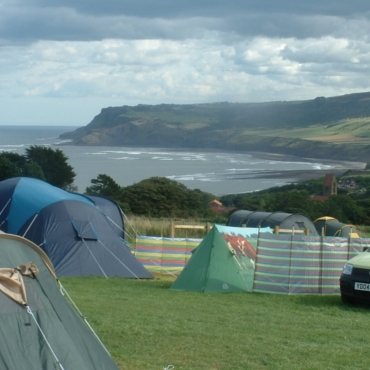 A small, friendly, caring, family run campsite, situated on a working farm half a mile from Robin Hood's Bay on the B1447 (Whitby to Robin Hood's Bay road) within walking distance of the local pubs and shops. It is approximately 5 miles from Whitby and 20 miles from Scarborough. 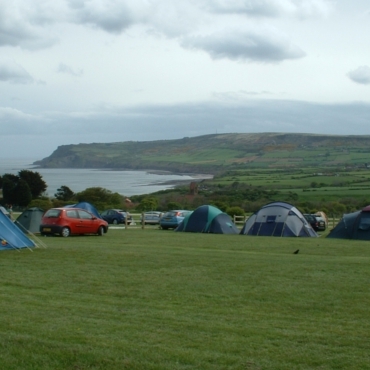 Our aim is to provide a relaxed and pleasant atmosphere for everyone camping within a farming community. Regrettably we cannot accommodate groups. Hooks House Farm is easily accessible by public transport. Come and enjoy the panoramic sea and country views, clearly visible from every pitch. We are unable to accommodate large vans or works vehicles, please contact if you have any queries. 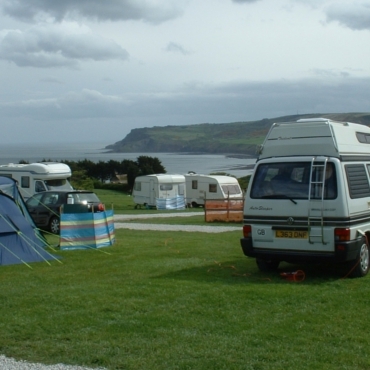 Hooks House Farm Campsite is open 1st March to 31st October. Charges are per-person (not per-pitch). From £8.00 - £10.00 per-adult per-night. £4.00 electric hook-up per night. We are now able to take payment by debit card. Pitches are allocated on a first come first served basis on arrival. At peak times a minimum length of stay and charge per pitch may be implemented. Showers, washrooms, toilets and sinks together with the use of an electric kettle, microwave, fridge and freezer are all included in the price. Well behaved dogs allowed but must be kept on leads and under control at all times. Regrettably no gazebos are permitted. Strictly no camp fires. BBQs allowed. 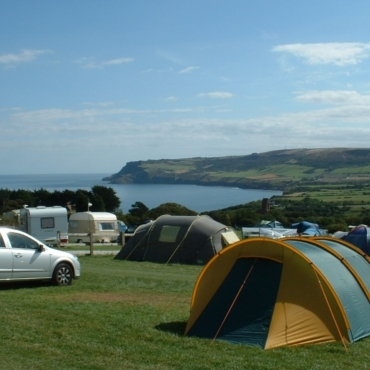 Advance bookings are taken for caravans, motorhomes and tents on electrical pitches, plus 'long stay' non-electrical pitches. 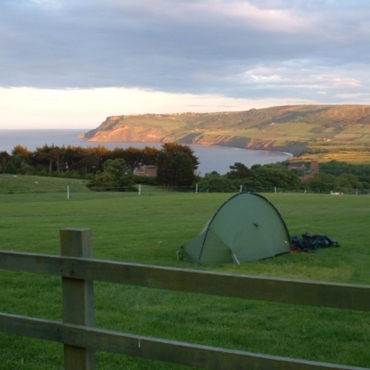 Sorry we do not take advance bookings for short stay tents - pitches are allocated on a first come first served basis. All bookings MUST be confirmed by telephone and a £30 non refundable/transferrable deposit by debit card will be required on booking. Please note: minimum lengths of stay may apply at busy times.